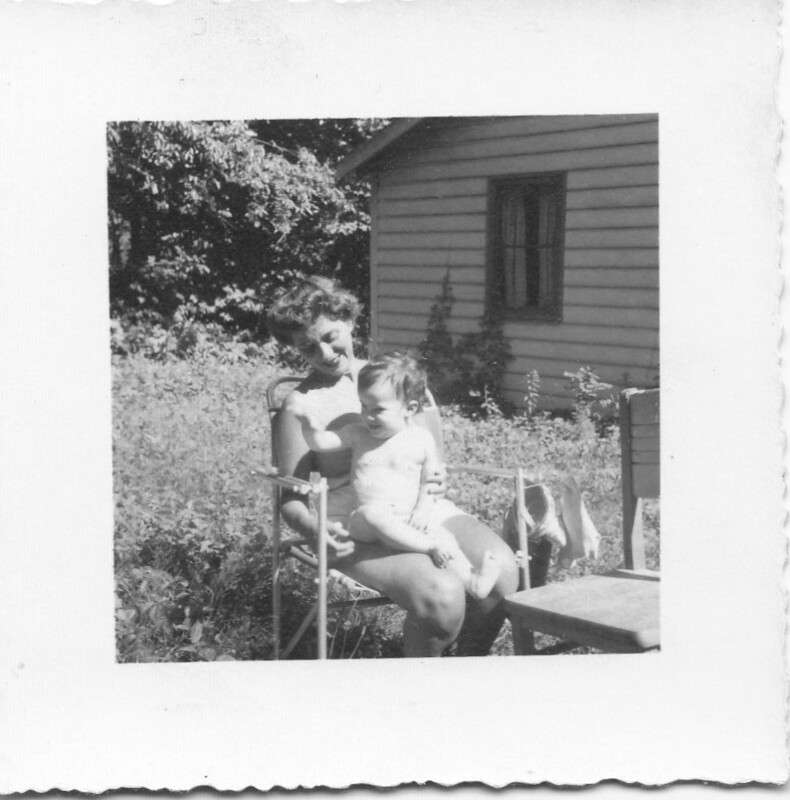 As you know if you’ve been following this blog for a while, my Aunt Elaine preceded me as the family historian for my maternal side. Several times notes she made or information she gave to others has led me to more information. Her information has almost without exception proven to be accurate. For example, she provided me—indirectly—with the names of my grandmother Gussie Brotman’s half-siblings, Abraham, David, Sophie, and Max. She provided me with the clue that the Brotmanville Brotmans were our close relatives. She told me how my grandparents met each other in Brooklyn. Well, she has done it again. 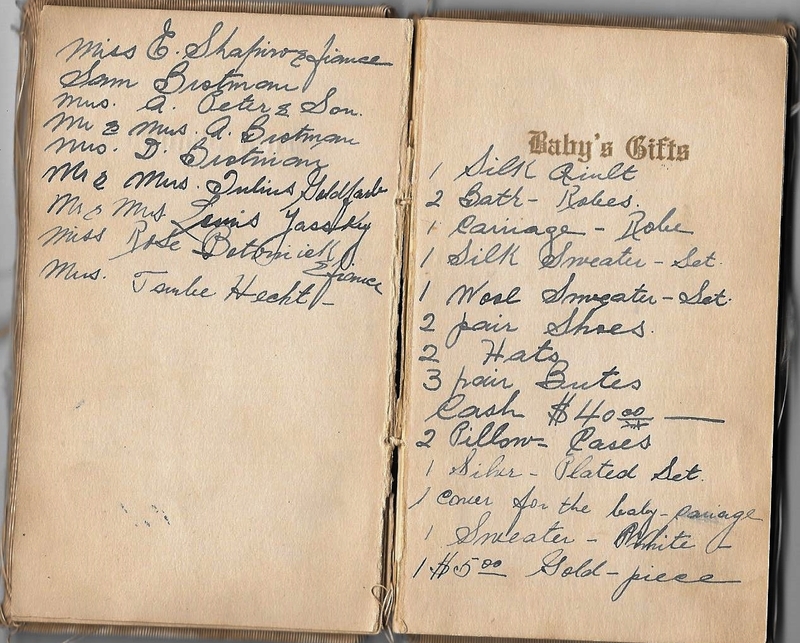 This time, however, it was not information or notes that she provided, but rather her baby book, which my cousin found in a shoebox of old papers. 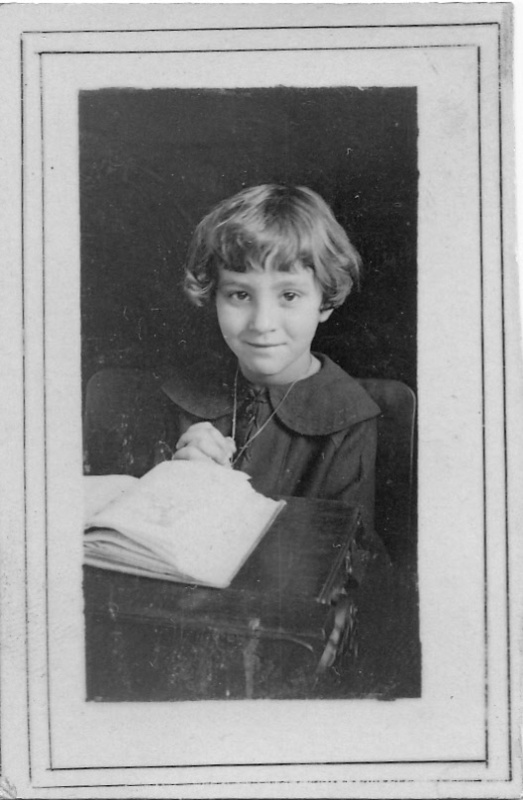 It was partially filled out when my aunt was born on October 14, 1917. Although most of it is blank, the few pages that were filled provide not only further confirmation of relationships about which I was previously aware, but hints at some new ones. 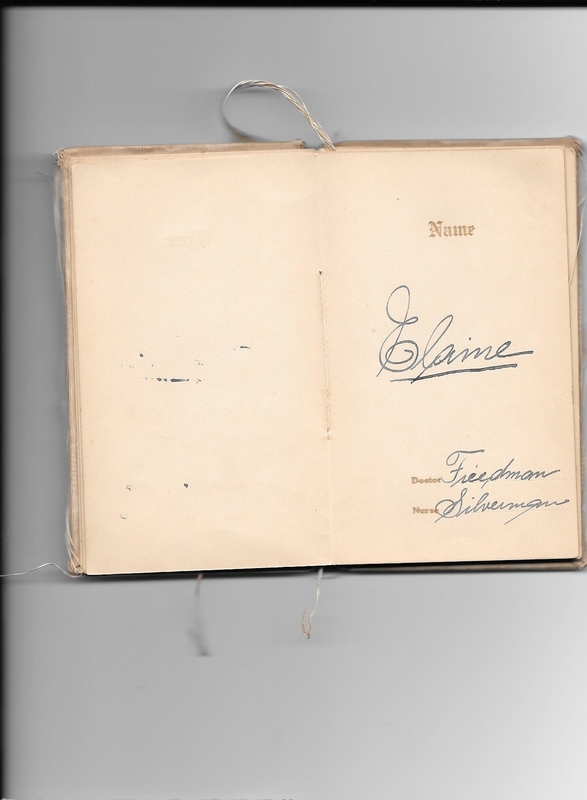 This is my grandfather’s beautifully florid handwriting. 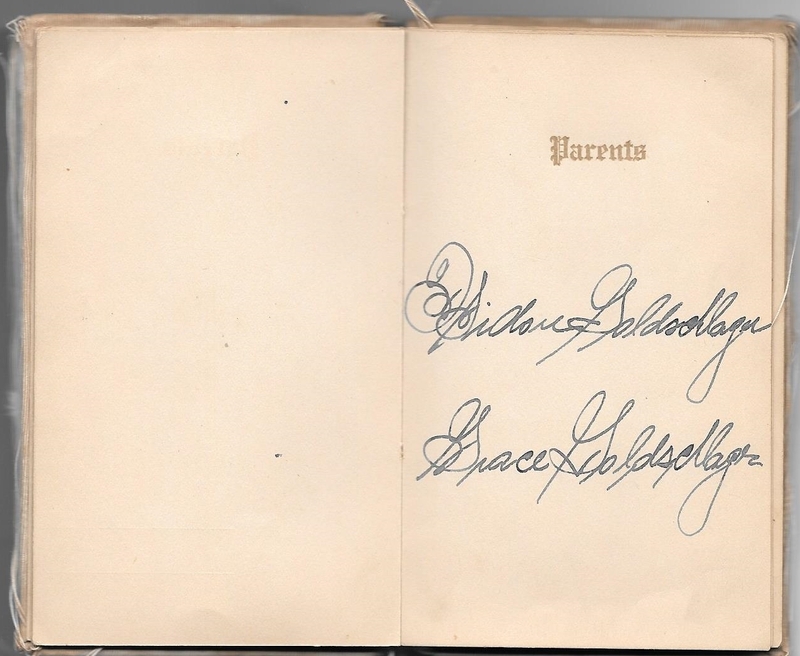 His daughter, my aunt, also had fancy handwriting like this. 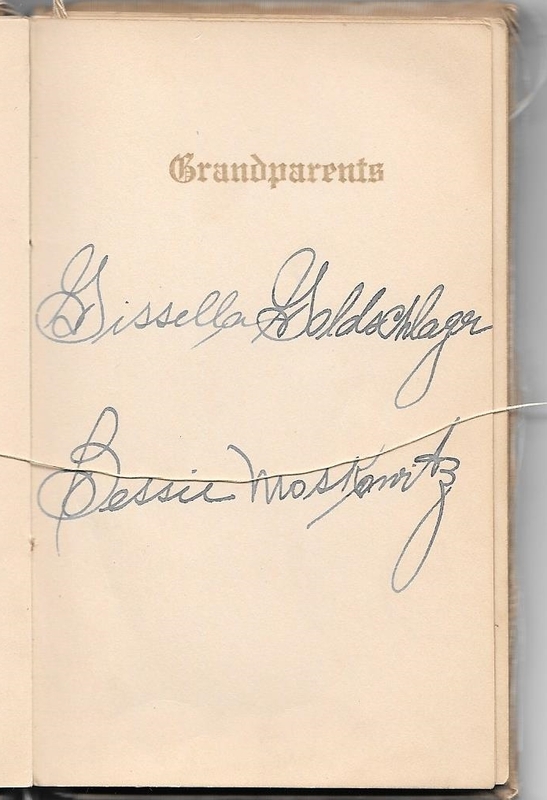 My grandmother was never called Grace, always Gussie. But family lore is that my grandfather’s family thought Grace was more American. The next two are not familiar, but provide new paths to research. Can anyone help me decipher the names? UPDATE: The last two must have been friends. Mr. and Mrs. Leon and Ray Kiok and her mother Mrs. Frances Azeraad. I found them all living together in Brooklyn, but not near my grandparents. I am not sure where they would have met. Leon was born in Poland in 1886, and Ray’s parents were born in Spain. On the following page were more names. The next three are not familiar—Mrs. Louis (?) Yassky, Miss Rose Botomick (? ), and Mrs. Tsulie (?) Hecht. As far as I can tell, these were not relatives, but friends. I just loved seeing all these names. 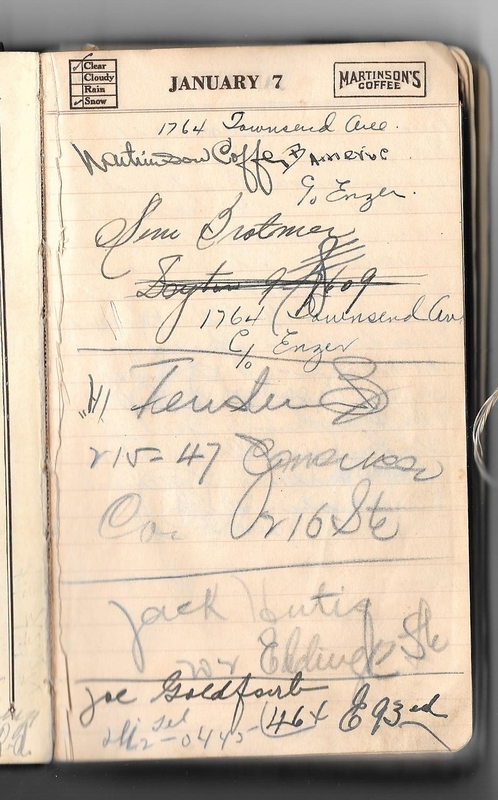 Names that I have researched and know are my family, but names I’d not seen in something like this, something that makes it clear that these people were all really connected to my grandparents in a personal way. I know that sounds odd. These were the siblings, mothers, and cousins. 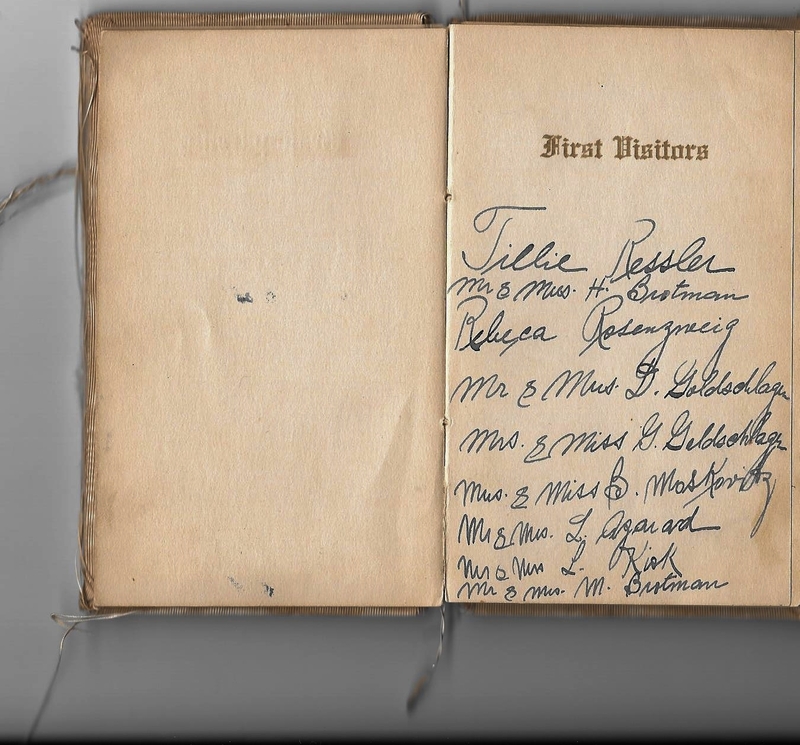 But since I grew up without hearing many of these names, it still was wonderful to see them all listed as the first visitors to see my aunt as a newborn in 1917. I also found the list of gifts fascinating. My grandparents did not have money for silver and silk, but someone was very generous in giving these items to them for their first-born child. 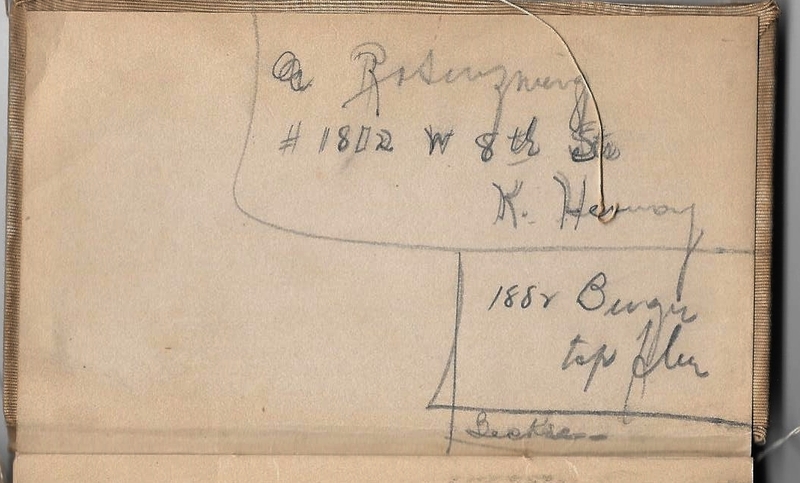 A. Rosenzweig—-my grandfather’s cousin, Abraham Rosenzweig, Rebecca’s brother. 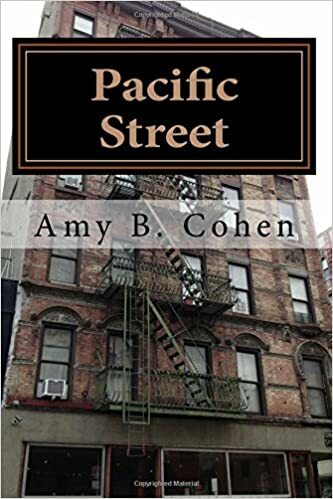 I have speculated, based again on a story conveyed by notes from my Aunt Elaine, that it was either Abraham or Rebecca or Sarah who was accompanying my grandfather Isadore on Pacific Street in Brooklyn when he first laid eyes on my grandmother and declared he was going to marry her. Back to Mr. and Mrs. Julius Goldfarb. 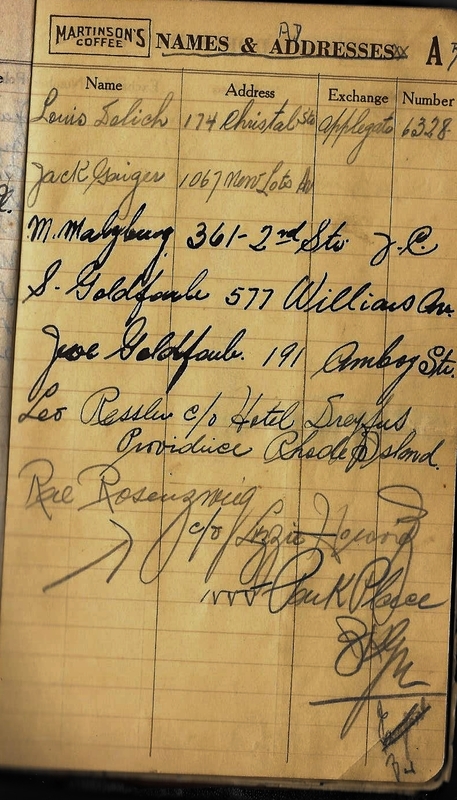 I asked my mother who they were because in a second old item—a notebook my grandfather used for various purposes that was also used by all three of his children at one time or another—the name Joe Goldfarb appeared twice. Who were these Goldfarbs? 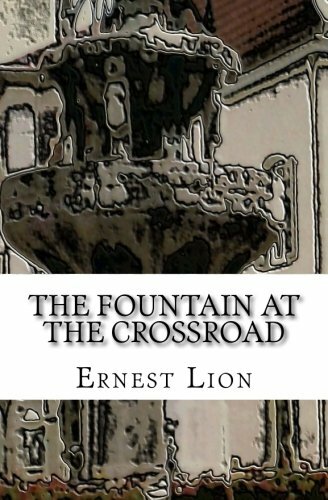 My mother said all she could remember was that either Julius or his wife was my grandmother Gussie’s first cousin. I’d never heard the name Goldfarb before, so what did I do? What all genealogy addicts would do. I immediately started searching. And the results of that search will be discussed in a later post once I have filled in more gaps in that story. But for now, I once again can hear my aunt cheering me on, telling me to keep digging and finding the family stories. I will share more of that notebook in later posts also.